New product is capable of detecting mobile phone of a missing or distressed person, increasing the chances of survival. CENTUM will officially present its new product at the 4th International Exhibition of Defence and Security Technologies HOMSEC, from March 12 to 15, 2013. After HOMSEC, CENTUM will conduct flight demonstrations for potential customers. Madrid, March 7, 2013.- CENTUM today announced the launch of LifeSeeker, the first product in its family of airborne systems, developed with SDR technology (Software Defined Radio). This new product is capable of detecting the mobile phones of missing or distressed people in remote or difficult to access areas and report their position to the search units. Installed on aerial platforms, it allows quick and efficient searches in areas without network coverage and provides a channel of communication with the person in distress. “LifeSeeker represents an important advance in the efficiency of search and rescue missions,” says Eduardo Fernández Canga, Product Manager at CENTUM, “as it helps to reduce the time of such missions, greatly increasing the probability of survival of victims“. 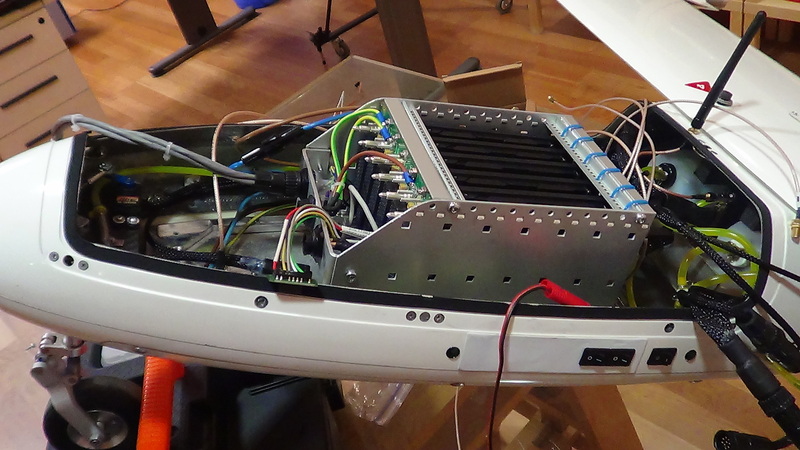 LIFESEEKER comprises an on-board payload and a ground control console. 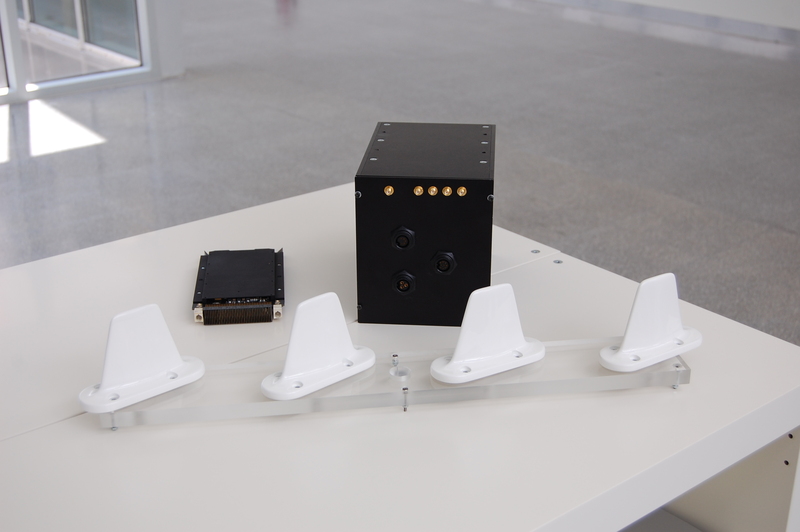 The on-board subsystem detects GSM transmissions and uses a phased array antenna to locate the source of the transmission. The geographic coordinates of the signal source are communicated to the ground control station. The ground subsystem serves as the operational and control station, from where the mission operator can coordinate LIFESEEKER operations. The product is aimed at security forces and emergency teams who will benefit from this technology by improving the probability of successful rescue missions with an efficient search, early geo-location and awareness of the missing party’s status. “We understand innovation as the use of technology to improve the welfare and safety of people. Technology is not an end but the means to achieve it“, says Héctor Estévez, Business Development Director and Innovation Mentor at Centum. When CENTUM started the development of this product, it was with the firm conviction that “it was a great opportunity to demonstrate the effectiveness of collaboration between private enterprise and institutions engaged in applied research at Universities“. For this purpose, they created a subsidiary within the Group CENTUM, CENTUM Research & Technology, dedicated to research and product development, as well as a consortium with Gradiant (Technology Centre for Telecommunications of Galicia) and the University of Vigo, both of whom have contributed with the “state-of-the-art technology, which differentiates this product from the competition”. The partnership has been a great success, and CENTUM has renewed their commitment to these institutions in order to continue developing this product family. CENTUM, responsible for the commercialization of LifeSeeker, has contacted several agencies responsible for search and rescue services both nationally and internationally with very good reception. In addition to the exhibition that will take place in HOMSEC, CENTUM is planning flight demonstrations to potential customers and end-users of the system. “The next step is to see LifeSeeker in operation, in missions carried out by our emergency and rescue forces. Our priority is to see this product help save lives“- emphasizes Eduardo. LifeSeeker allows for localization of mobile phones, in areas without network coverage. It can radio-locate these mobile phones and transmit their coordinates to rescue teams, shortening search times, which is critical in this type of mission. In addition it allows communication via voice or text messaging with the distressed persons to reassure them and know their status in advance. CENTUM is an engineering company that develops engineering projects and technology products specializing in the field of communications, control and signal intelligence. With a strong international presence, it focuses its activities on high-tech sectors such as Aerospace and Telecommunications and other markets in which these technologies are directly applicable. With a 100% private capital, has been reinvesting their total annual profits. Centum aims to be an international leader in innovation in the development of communication engineering products and services always based on the talent of its staff. CENTUM is established since 2011 in Brazil and since 2012 in Germany. GRADIANT (Galician Research and Development Center in Advanced Telecommunications) is formed by a board that includes representatives of the public sector (Ministry of Economy and Industry and Innovation Agency of the regional government of Galicia), the three Galician universities (Vigo, Santiago and A Coruña) and seven companies from the sector of telecommunications like Arteixo Telecom, Egatel, Indra, R, Telefónica, Televés, Vodafone and INEO business association, which represents more than 80 per cent of ICT Galician companies. GRADIANT is a private and nonprofit fundation established in December 2007 and created for the purpose of aligning the university’s knowledge with business demands. It plays a key role in the generation and transfer of knowledge in information technology and communications (ICT) to companies. The Center also has a commitment to quality and it has the certificate of Quality Management EN ISO 90001:2008 Systems and Project Management R & D + i UNE 166002. Both , guarantee the highest quality in the management of all processes and projects of the Center. Founded in 1990, the Universidade de Vigo has succeeded in establishing itself as a point of reference in terms of modernity and innovation in Galicia in such a short time. Its three campuses in Ourense, Pontevedra and Vigo offer degree courses in the sciences, humanities, technology and legal/social areas. Its firm commitment to the transfer of knowledge and social development has had a direct impact on a European level, working on more than 50 European projects in the last 10 years as well as numerous domestically financed programmes. Selected in 2010 as a campus of international excellence thanks to the Campus do Mar project, the Universidade de Vigo is now one of Spain’s leading public universities and in recent years has joined the list of the finest universities in the world. LifeSeeker involves the development of a new emergency telecommunications system that is able to detect, identify and locate, quickly and independently, missing people in high mountain areas, areas devastated by natural disasters or inaccessible regions. The system takes advantage of the enormous social penetration that mobile communication technologies have had in recent years to turn a mobile phone in an emergency beacon able to guide rescuers to their position. By operating independently of telecommunications networks, in addition to locating the terminal of the distressed person, LifeSeeker offers voice and short messaging services even in areas where there is no mobile coverage, thus providing rescuers a direct communication channel with the victim and the possibility of knowing their status or any other relevant data to facilitate the rescue operation. Furthermore, LifeSeeker can operate autonomously, integrated in an Unmanned Air System (UAS). This type of equipment does not require a pilot, can operate at night, with reduced visibility or adverse weather conditions that may frustrate any other air mission, and limit the risks that such operations pose to the safety of the pilots. 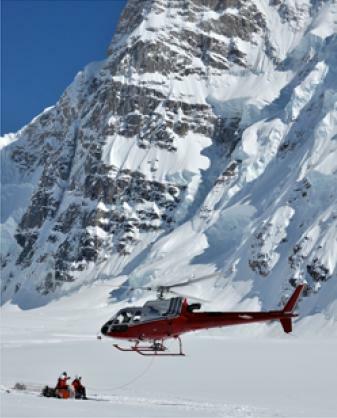 All this makes LifeSeeker an effective tool that streamlines the rescue operations by reducing the tracking time and operating in hours of the day when conventional search missions are not possible, thereby reducing operating costs and maximizing the chances of success in missions where every second counts.